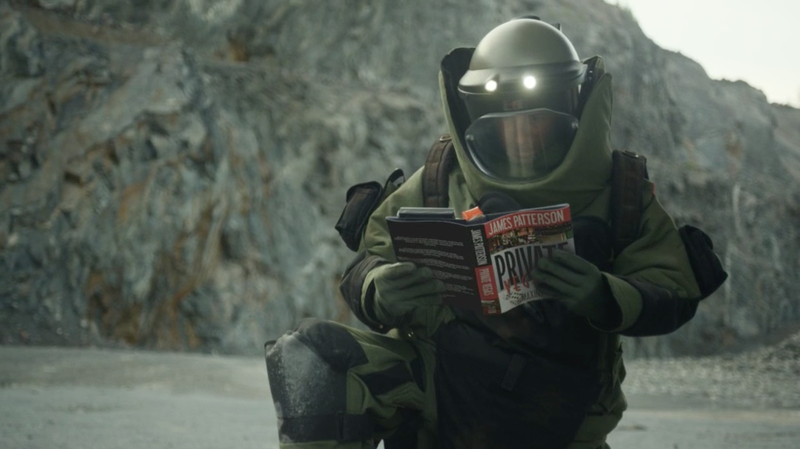 Adman turned best-selling author James Patterson often creates TV ads to promote his books. But for the launch of his latest novel, Private Vegas, he turned to ad agency Mother for something decidedly different. In what Mother New York creative chief Paul Malmstrom calls a "pretty absurd stunt," the author is inviting one fan to experience "The Self-Destructing Book," aka "The most thrilling experience money can buy." This fan will have to pay $294,038 for the experience, which includes getting a self-destructing version of the 416-page book, having a private dinner with Patterson, and witnessing—through gold-plated binoculars!—the epic demise of the book. At the same time, via a Web application, 1,000 more readers will gain access to a free digital version of Private Vegas that will disappear after 24 hours in a cinematic and spectacular way. That aspect of the promotion plays on Patterson's reputation for writing page-turners with short chapters and cliffhangers that keep you reading. What's more, the digital version will include flourishes such as a splattering of blood when a character is killed. The bigger stunt is supported by several videos that Mother created as well. Asked why he hired an agency for a promotion that the former JWT creative director could have created himself, Patterson told AdFreak, "Well, I'd been writing some of the scripts, and I just thought we could get better talent on this thing, you know?" The author added that he wanted to shake up the marketing aspect of publishing, which of course now competes with everything from TV shows to feature films to Internet content—some of which he creates himself. "I wanted to do something big and exciting and different. Went to Mother and Mother came up with a few ideas, as mothers will. And we all decided that this was the coolest one," Patterson said. The destruction has nothing specifically to do with the plot of the ninth installment of Patterson's crime series, which comes out on Monday. The $294,038 figure, however, does have special significance. When asked about it, Patterson deferred to Malmstrom, who laughed before explaining, "That's the actual cost [of the campaign]. We added it all up, and that's the exact sum. And we didn't mark it up."